The Deligiannis TMNT Action Figure — Deligiannis Bros. Okay, I own a lot of ninja turtles toys, but none like this one. 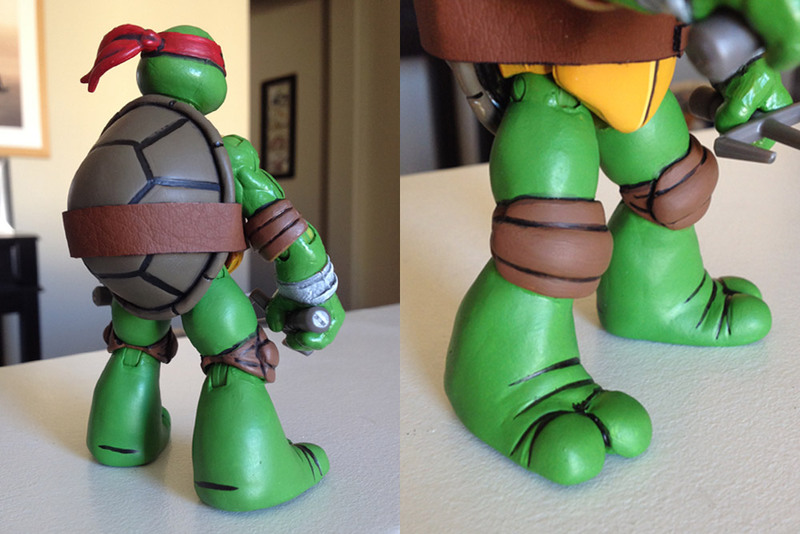 This is a figure literally unlike any other... it's a one-of-a-kind Raphael figure based on my turtle designs. What could be cooler than that (short of maybe a figure based on me)? It was sculpted by a talented dude named Rick Dries, who sent me an email out of the blue some weeks back. 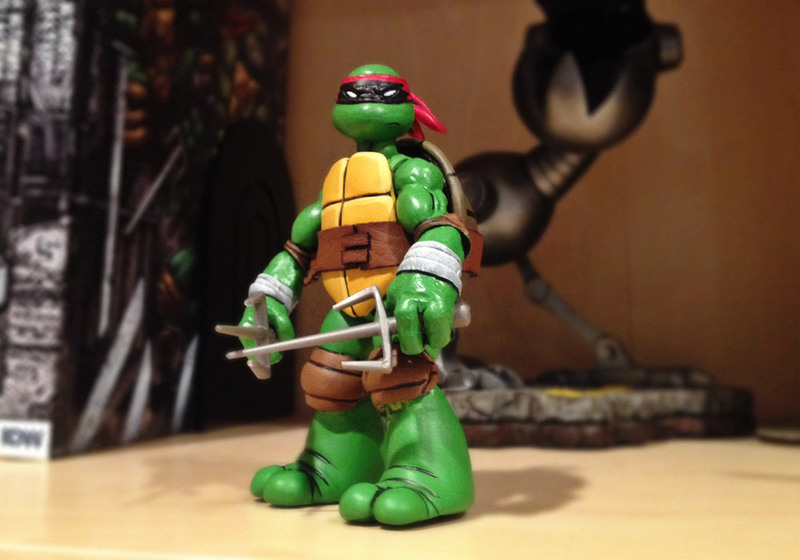 When I opened it, I was blown away to see a very familiar Raph staring me in the face. Rick used my recent IDW sketch covers as his blueprint, and he was kind enough to send the finished product my way. It arrived last night, and I ended up spending an hour playing with it, taking pictures, and just admiring it. He did an amazing job (I particularly love the shell and the chunky feet). I'm very honored to have it, and it's petty cool to look over at my shelf and see a Deligiannis Style turtle up there. Incidentally, Rick's other custom figures are phenomenal. He did a set based on the cover to Mirage's TMNT #14, "The Unmentionables," that I would love to own. You can (and should) see it, and many others, on his DeviantArt page. Don't act like you're not jelly.